We lead the world in healing from childhood trauma and will celebrate survivors being 100% worthy on World Mental Health day. We would be delighted to have you, your family and friends join us for our open day celebration “100% WORTHY” which is coinciding with our 16th anniversary and World Mental Health day. We have always known how incredibly strong and brilliant survivors of childhood trauma and/or abuse are and have invited them to showcase their talents and creations for you on one very special day. Survivors come from all walks of life and have many diverse skills, abilities and interests. There will be lots of interesting things going on throughout the day including an art exhibition and sale, singing, musical and dance performances, a jumping castle for the kids, poetry and writing, workshops, stalls selling food, home-made crafts, home grown produce and much more. If you would like to purchase any items at the stalls you will be helping both the people running the stall and the Heal for Life Foundation. If you are a survivor of childhood trauma and/or abuse we invite you to take part. 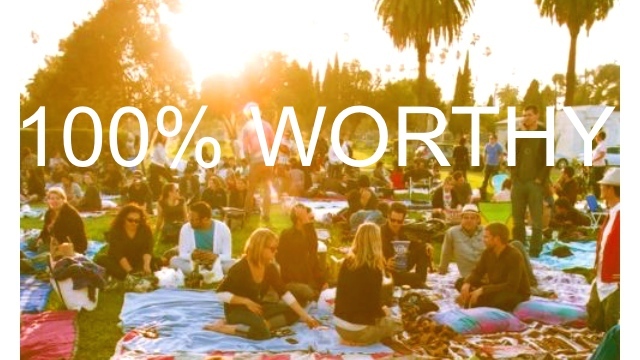 If you would like to contribute (by selling your own items at a stall, performing, running a demonstration or workshop, displaying and/or selling your artwork) please complete the 100% worthy application form for artists, stallholders and performers and return it to us by Friday 18th September 2015. A lot of survivors spend years trying to overcome the effects of childhood trauma and/or abuse, having been diagnosed with mental health issues such as depression and anxiety. 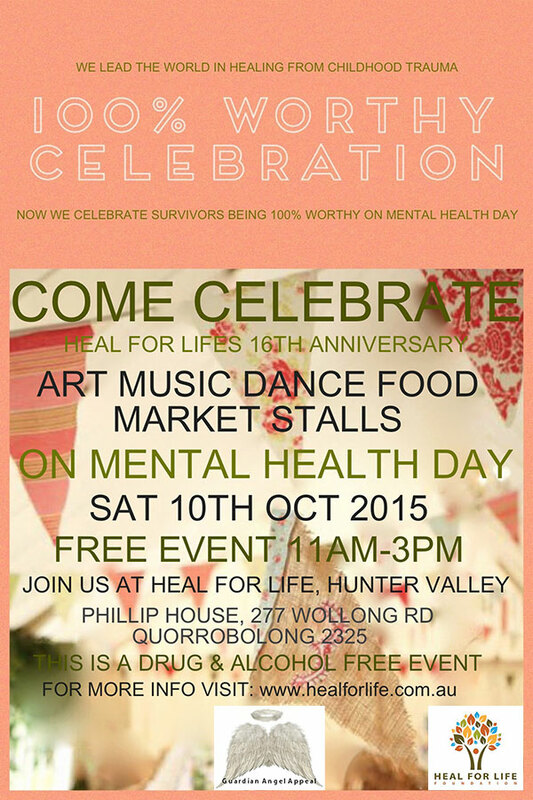 October 10 is World Mental Health day so it is fitting our open day and anniversary coincide with it. In addition to celebrating the unique gifts and talents of our community we would also like to raise awareness of mental health issues as they are becoming increasingly common throughout all communities. 100% WORTHY invites all hearts to our first time ever celebration.